Chevrolet has officially unveiled the all-new 2015 Corvette Z06 Convertible, which will be showcased next week at the New York Auto Show. As you already know, the Corvette Z06 Convertible is billed as the most powerful convertible model ever delivered by Chevrolet. The exterior follows in the footsteps of the coupe but it features a power folding roof which can be opened or closed at speed up to 50 km/h. In addition, the Chevrolet designers have added dual accent panels, behind the seats which can be ordered in Carbon Flash or carbon fiber. “Until recently it was not possible to create a lightweight, open-roof structure strong enough to cope with the braking, cornering, and acceleration of Corvette’s top performance models. 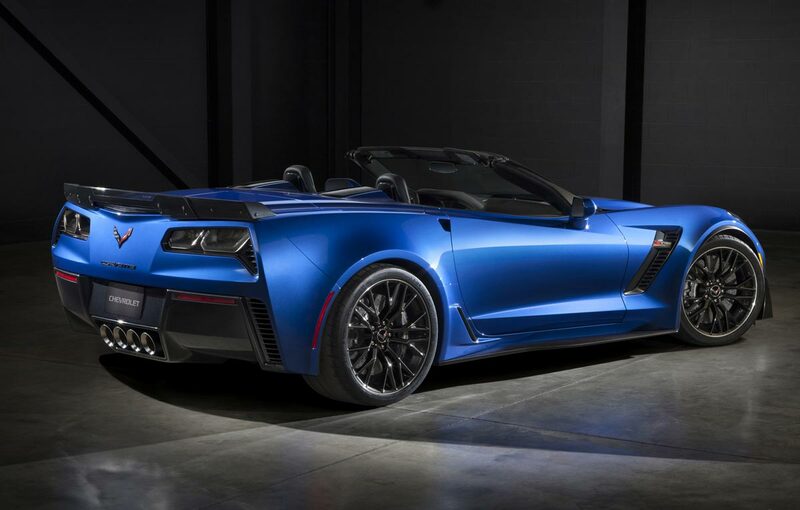 The frame for the Z06 convertible leverages advancements in computer-aided engineering, metallurgy, and manufacturing techniques – many of which were not available just five years ago”, said Corvette chief engineer Tadge Juechter. As you probably know, when a model is turned into a convertible version the engineers must add some structural reinforcements. But with the Z06 Convertible this thing hasn’t happened thanks to the car’s stiff structure. Under the hood of the 2015 Chevrolet Corvette Z06 Convertible is the same 6.2 liter LT4 V8 unit that offers “at least” 625 horsepower and 816 Nm peak of torque. The engine can be matted to a seven speed manual transmission or to an optional eight-speed automatic gearbox. “The Z06 Convertible is a world-class supercar in every sense. Only a handful of convertibles in the world bring more than 600 horsepower and 600 pound-feet of torque. Even fewer can match the advanced technologies, aerodynamic design, and visceral driving experience of the Z006 Convertible”, said Mark Reuss, GM executive vice president of global product development.